Ranging from 600mm to 1200mm wide x 1800mm high. 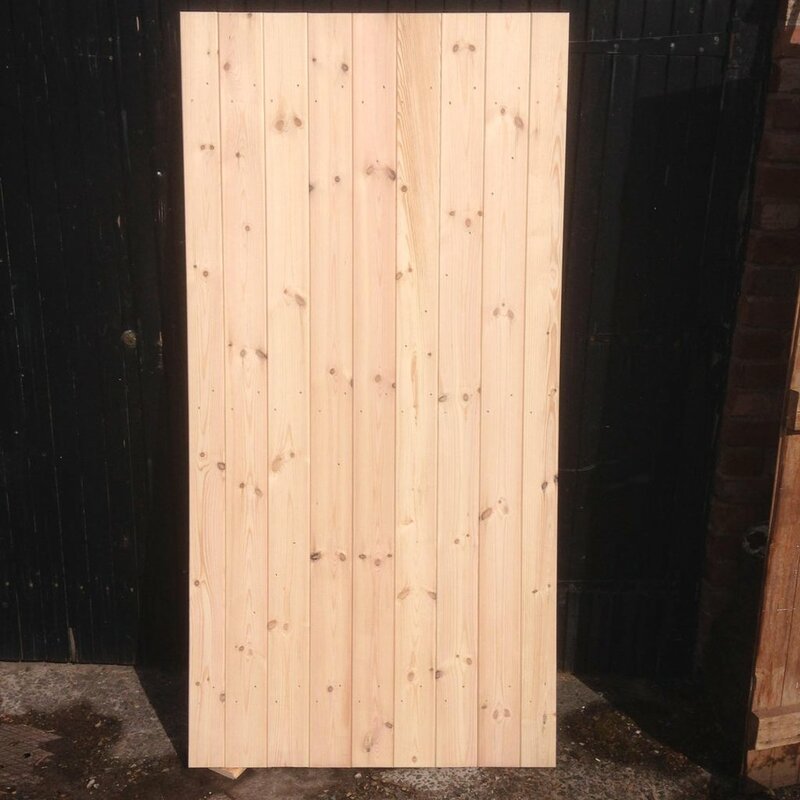 94 x 32mm finished size rail’s and brace’s made from Scandinavian redwood. 94 x 20mm finished size V tongue & groove board’s made from Scandinavian redwood. Can be made left or right handed and also used as a pair. Price also includes a Suffolk latch, 2 Tee-hinges and a pad-bolt for security.